You can only be first once – so it’s amazing that there are still glass ceilings for minority theatremakers to break. From the West End to Broadway and beyond, the sound of cracking glass is still being heard. In December, Natasha Gordon’s Nine Night will transfer from the National’s Dorfman to Trafalgar Studios, making her the first black British female playwright to have a play in the West End. 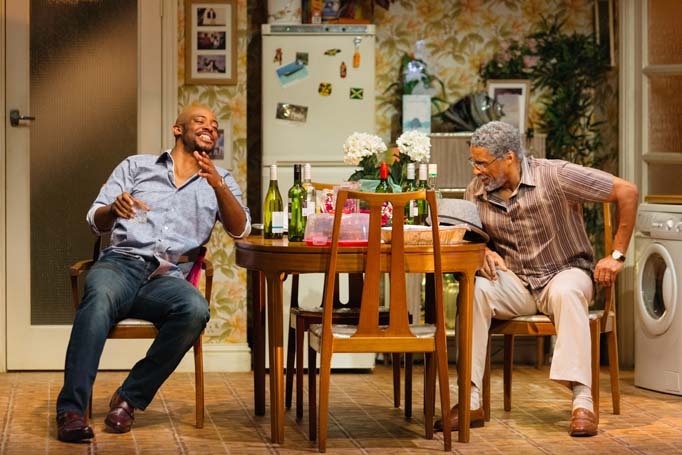 Kwame Kwei-Armah became the first British African-Caribbean playwright to have a play produced in the West End when his Elmina’s Kitchen transferred, again from the National, in 2005. It’s one of the reasons Dreamgirls took 35 years to cross the Atlantic for its West End debut – a perception that there might not be a big enough audience for a ‘black’ musical to sustain a run in the West End. But that show is now booking until January 2019. Dreamgirls, based on Diana Ross and the Supremes, opened nine months after Motown – a revue celebrating the record label that launched numerous careers, including the Supremes’ – made a transfer to the Shaftesbury. Chichester’s current revival of Me and My Girl happily doesn’t make the same mistake. Clive Rowe stars as Sir John Tremayne, devoted husband to Caroline Quentin’s Duchess of Dene. Rowe has long blazed the trail for diverse casting by the power of his unique talent, with leading roles that have included Enoch Snow in Carousel and Nicely-Nicely Johnson in Guys and Dolls (both at the National) as well as an Olivier nomination for his panto dame Mother Goose at Hackney Empire. But if Rowe’s career is proof of there being no barrier for a big talent, black British actors still find themselves breaking new ground. Amara Okereke, who graduated from Arts Ed this year, has just joined the West End cast of Les Miserables as its first black Cosette. It has taken 32 years – since the show opened – for this to happen. So, the play is not only a ground-breaker, it offers a new perspective on a familiar story. Mark Shenton is associate editor of The Stage. Read his latest column every Wednesday and Friday here.